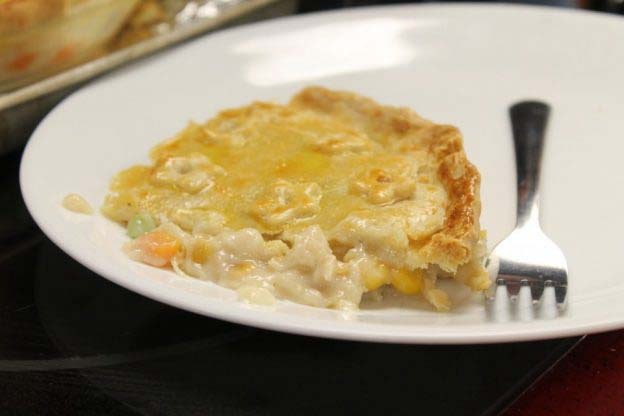 Comfort chicken pot pie is so much easier than you think. If my first time pie makers in high school can make it, so can you. 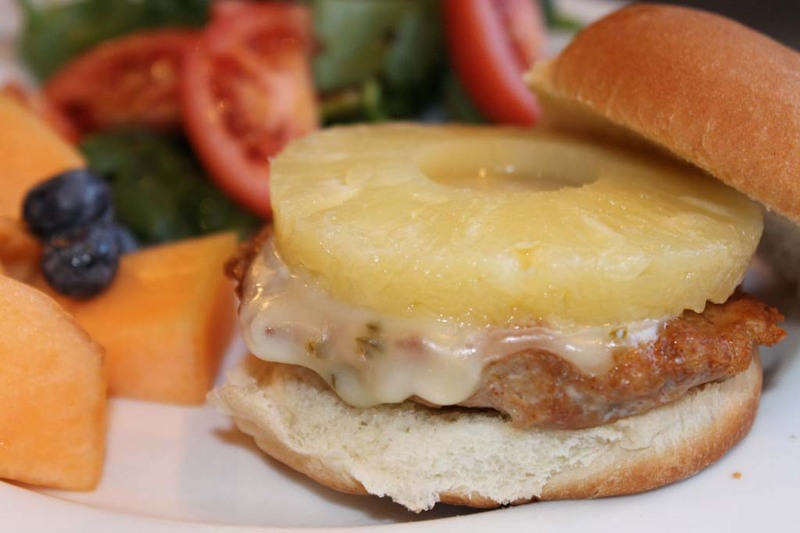 This recipe has been in my lesson plans for about a year now. I’ve made a few modification to Jenny’s superb recipe to make it easier and quicker for my students. They have so much fun planning out their pie crust with different designs and I brag on them every semester. You can see why pie is so delicious. And some students think mouse ears are drool worthy. 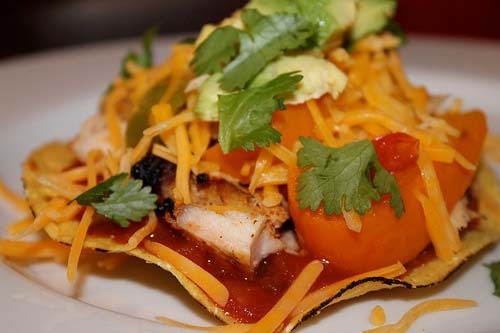 I start this recipe with my boiled chicken recipe using either tenderloins or boneless chicken breasts depending on the sale. Making my own chicken broth makes this recipe super frugal and I typically give each student one tenderloin or 2 small chicken breasts. We use frozen vegetables to keep it simple and easy since we’re making a homemade crust, but feel free to use fresh vegetables like Jenny does in her youtube. 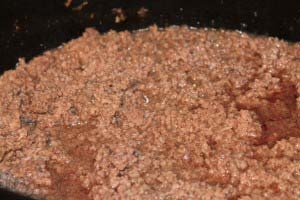 The filling smells amazing when you cook it. My students are able to fill a shallow 9-inch pie pan with it. My absolute favorite part of this recipe is the way this pie crust rolls out between sheets of wax paper. It comes together so nicely, first time pie makers can always do it. It turns out flaky and amazing with olive oil! In a small bowl, whisk together stock, milk, and flour until smooth. Set aside. Stir in vegetables followed by chicken stock mixture, salt & pepper. Cook, uncovered, for 2-3 minutes until thick. Pour into a 9-inch pie pan. Choose a deep dish pan if you decide to add more than a cup of vegetables or more chicken. Set aside, uncovered. Add oil & milk all at once. Stir with a fork. Brush rim of pie pan with eggwash. Gently remove crust from wax paper by draping it over your arm and place onto pie. Trim away or flute overhanging crust, pressing down edges. Brush entire crust & edges with eggwash. With a sharp knife, poke about a dozen holes in the top to release steam. If you were freezing the pie, do not bake at this stage. Allow it completely cool. Wrap in labeled heavy duty aluminum foil crimping one side. I like to fold my sides together as shown below. Wrap in a 2-gallon freezer bag squeezing the air out for long-term storage, but this way works for about a month. 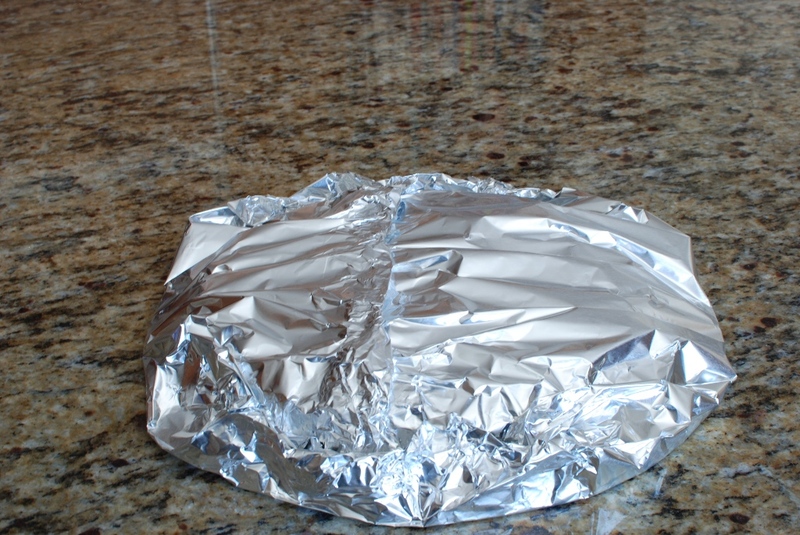 If baking right away, place on a foil-lined baking sheet. Bake for 25 minutes. Let stand at least 20 minutes before serving. In case you haven’t noticed, there’s no bottom crust which makes it healthier, with less carbohydrates and no butter or shortening in the crust recipe. There’s no need to buy a store-bought crust anymore when you know you can whip up this amazing easy crust. Wouldn’t you love to receive this as a freezer meal? Be sure to make one for yourself and for someone else this week. You won’t be sorry. Our two classes made eight pies! This entry was posted in Poultry and Pork on 02.03.2016 by admin.